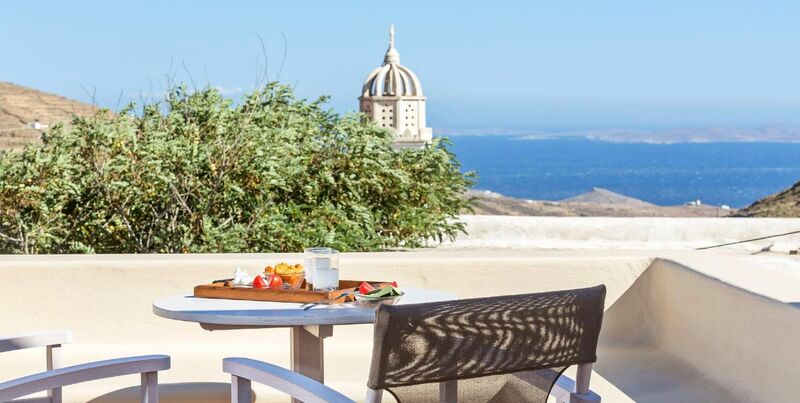 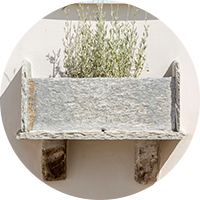 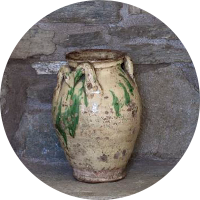 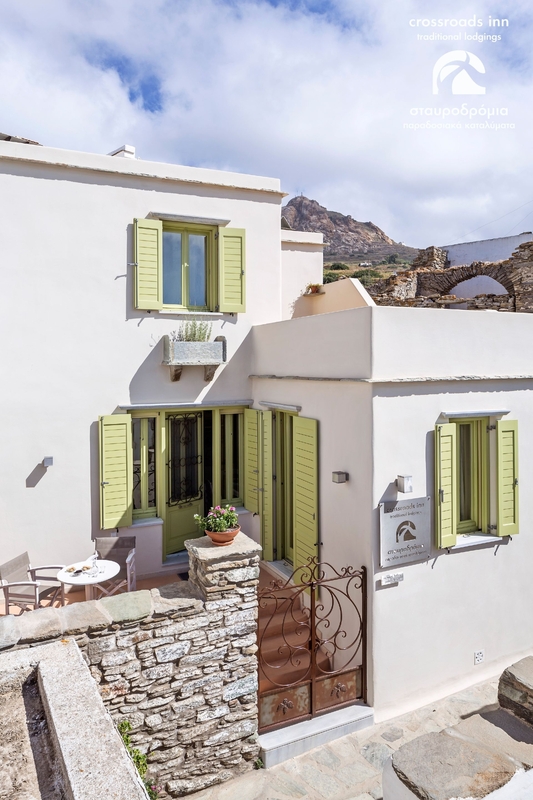 The Stone of Ages is a comfort sea view maisonette of our countryside boutique hotel, which took its name from the old marble fragments we found within the building’s stone walls during reconstruction. 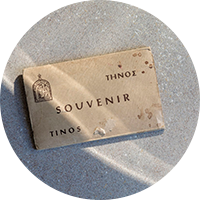 Those very same marble fragments are now placed on the inner perimeter of the building’s courtyard, recalling the rich history of Tinos Island. 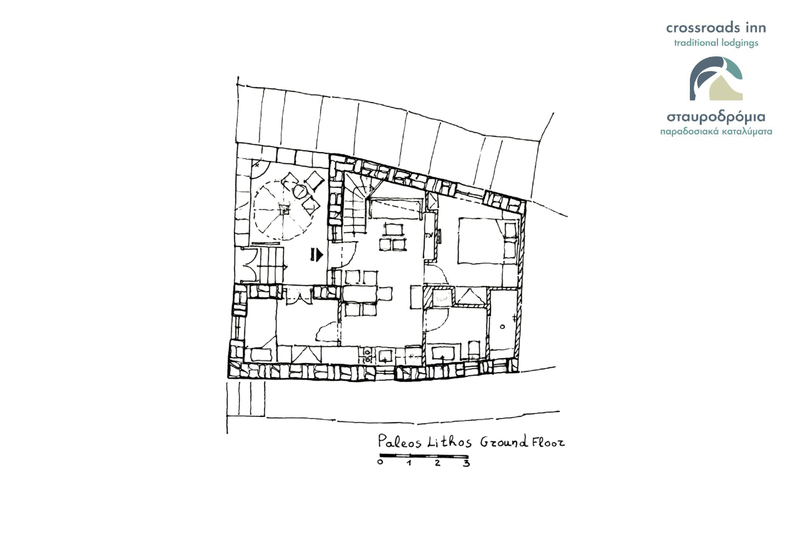 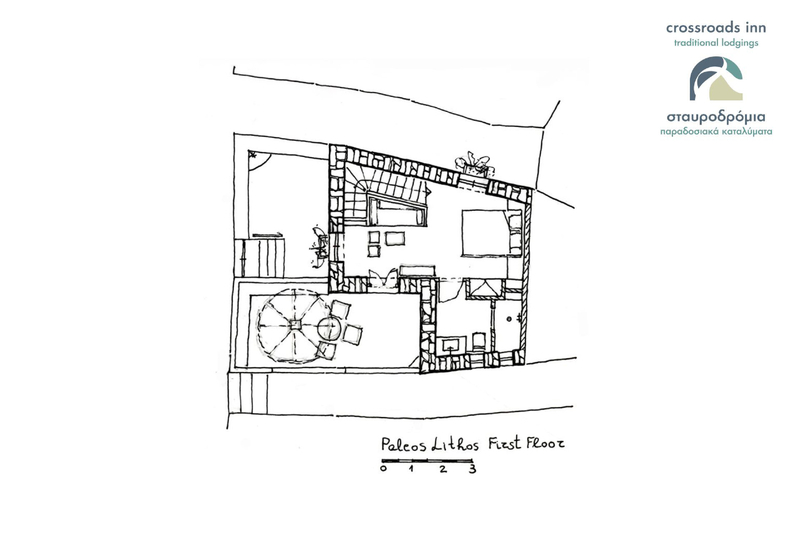 The Stone of Ages [Paleos Lithos/Paleós Líthos] (66 m2) is a two-storey building, a comfort sea view maisonnete. 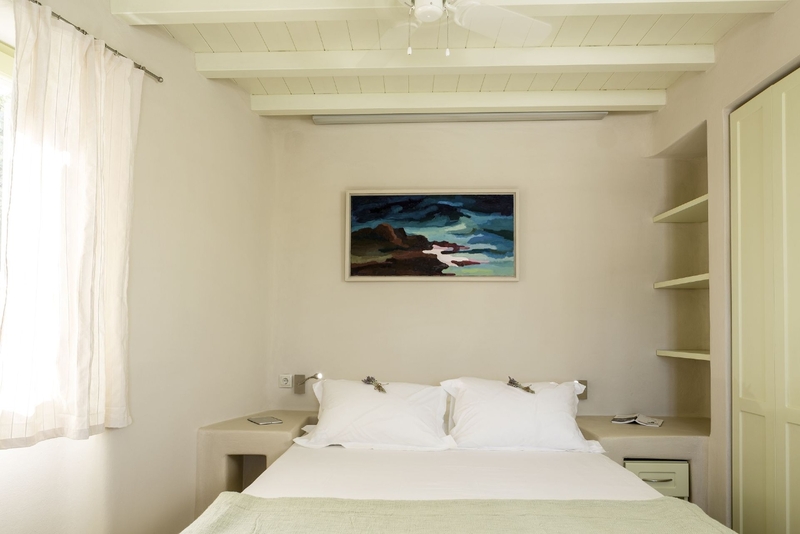 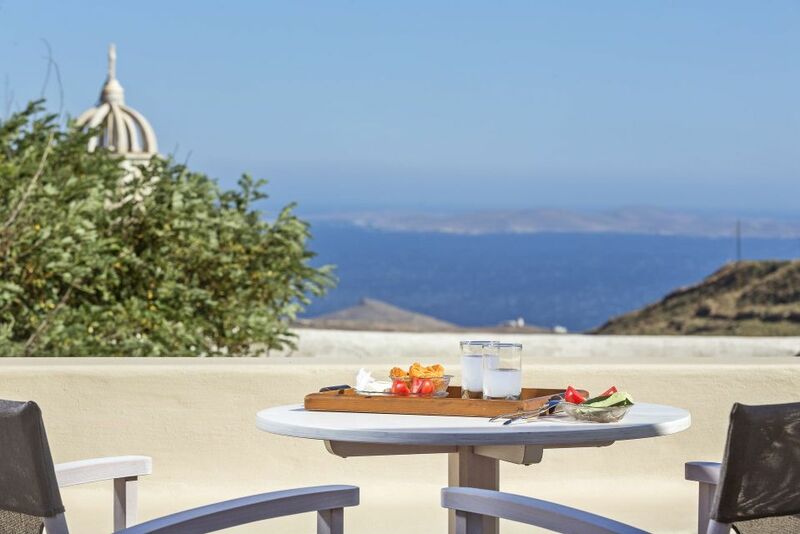 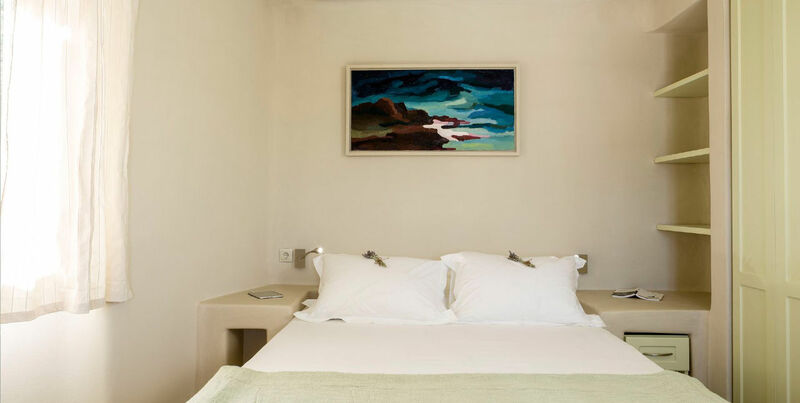 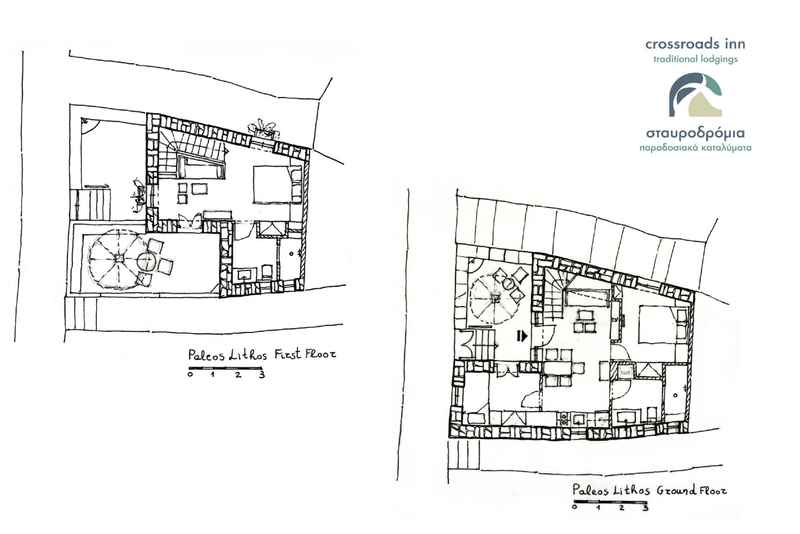 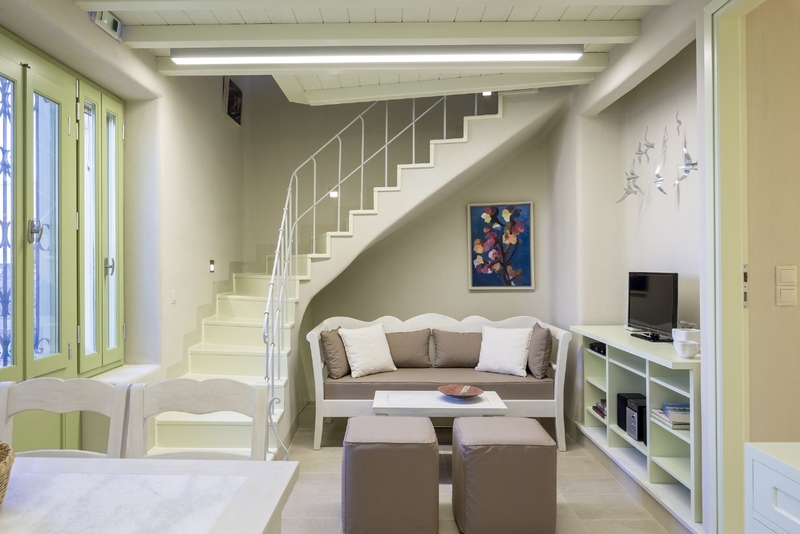 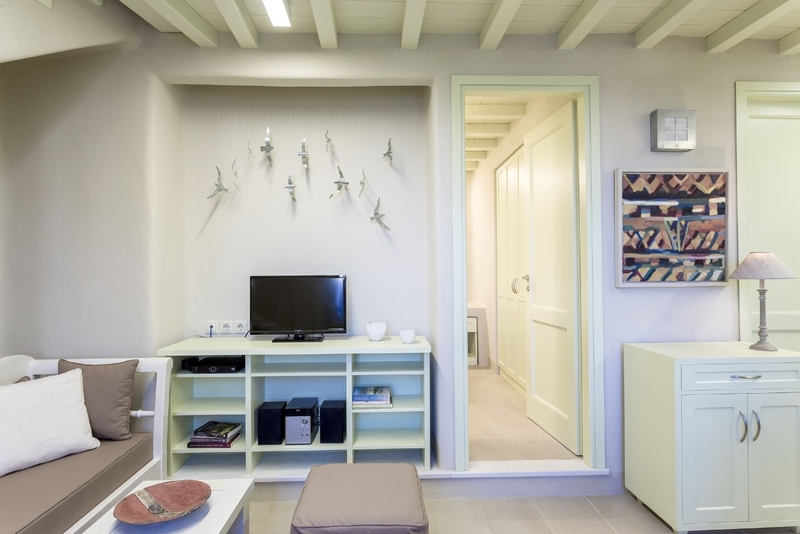 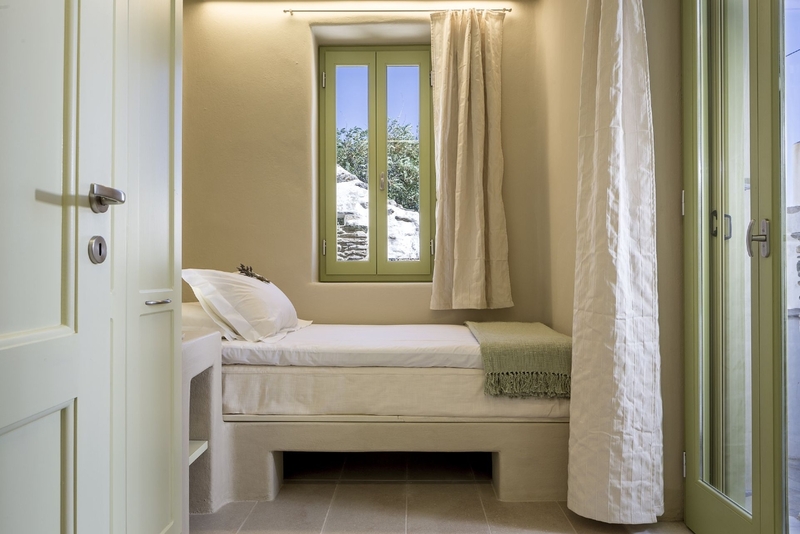 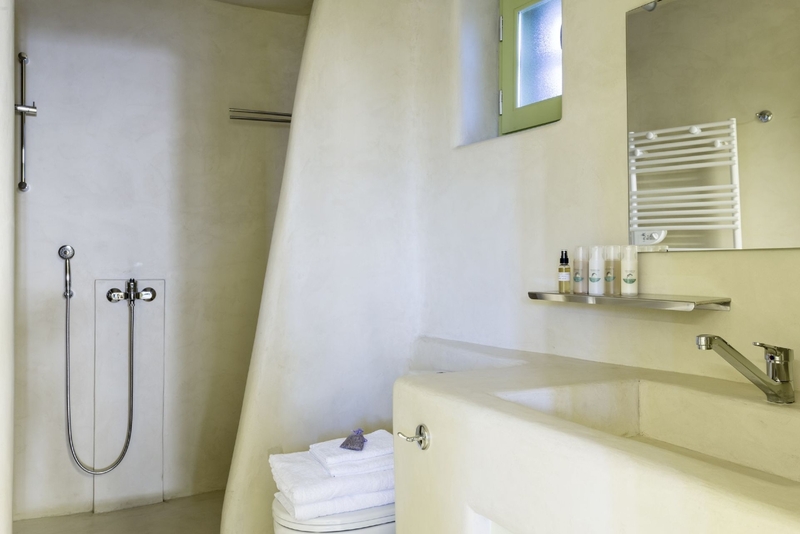 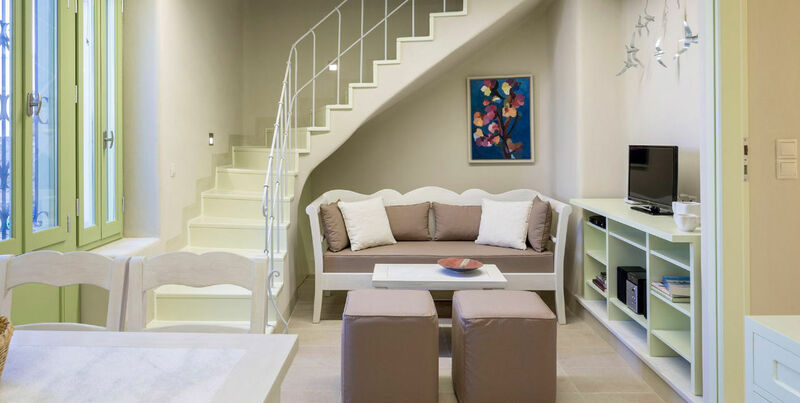 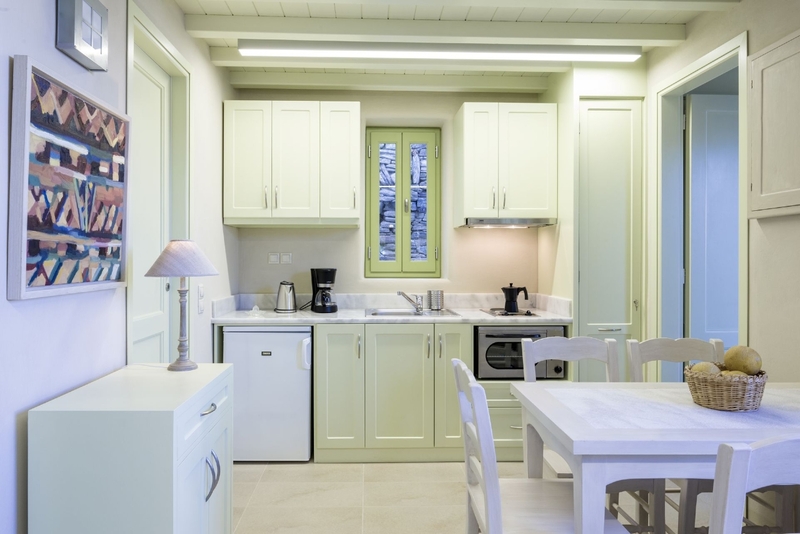 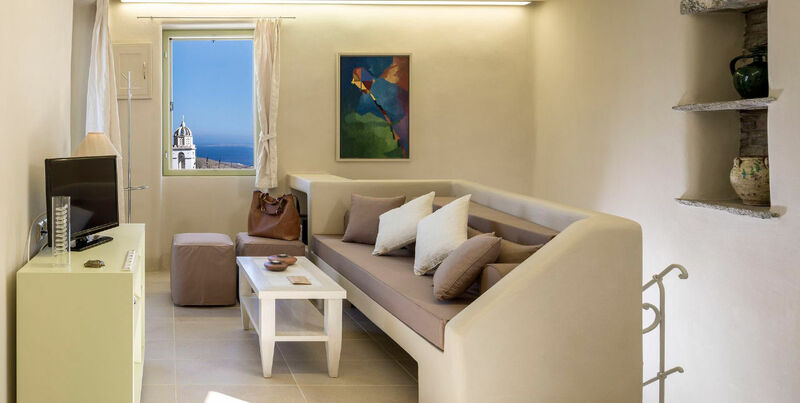 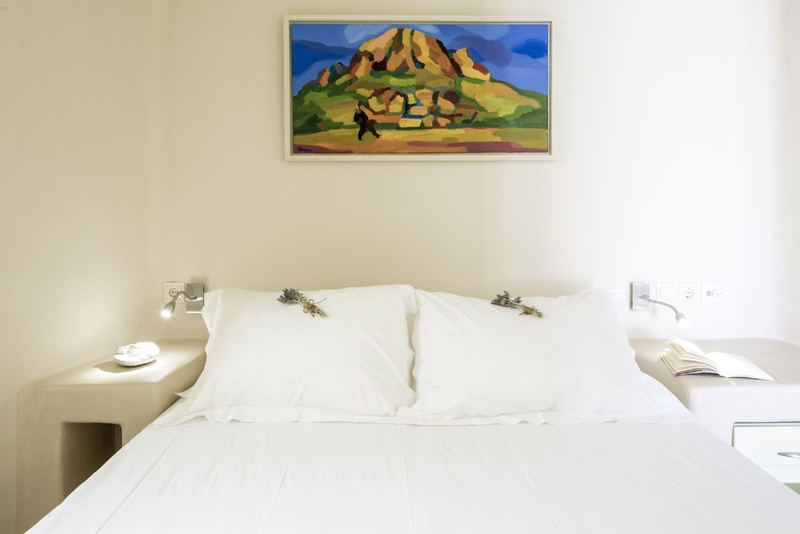 Its ground floor accommodates a sitting room, a dining room, a fully-equipped kitchen, a bathroom with a shower and all the necessary accessories and toiletries, a bedroom with a built, double bed, a bedroom with a built, single bed, and an open-air Cycladic courtyard (11 m2). 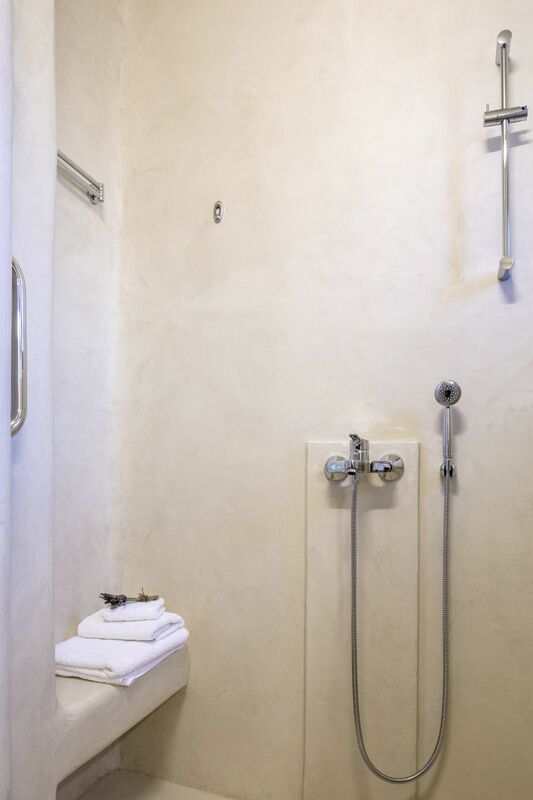 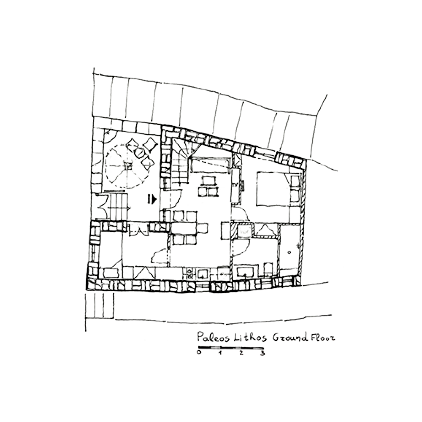 The upper floor is a uniform space with a built, double bed and a sitting room, a bathroom with a shower and all necessary accessories and toiletries. The upper floor’s veranda (18 m2) has a wide, unique, panoramic sea view of the Aegean, the island of Delos, the Monastery of Aghia Pelagia, and Exombourgo granite hill.